NICOLE UPSHAW is an Allied Barton security guard who greets students and faculty and checks Owl Cards as people flow through the doors of Speakman Hall. NICOLE UPSHAW is an Allied Barton security guard who greets students and faculty and checks Owl Cards as people flow through the doors of Speakman Hall. Upshaw was born and raised in the Temple area and has been working here for the past three years. Her warm demeanor encourages many Fox School of Business students to start their mornings on the right foot. Upshaw said a balance between family life, spirituality and work keeps her in high spirits. The Temple News: How long have you been working here? 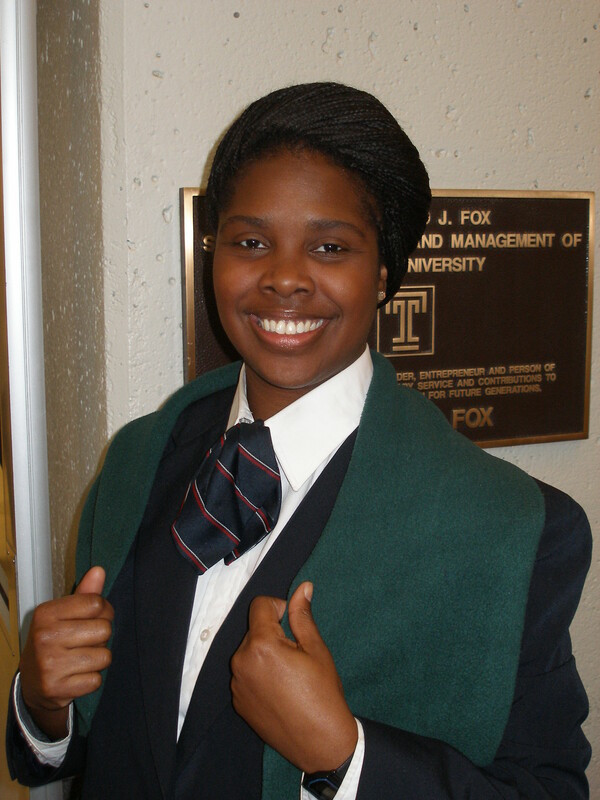 Nicole Upshaw: I’ve been working at Temple for three years. TTN: What do you like most about your job? NU: Well, the students are very energetic. I like that they want to learn more education wise, from the freshmen to the seniors. I love Temple. I love the students. They are like my home away from home, and they need all of the love and attention they can get. TTN: What is it that has you smiling this early every single day? NU: Well, it’s the grace of God. That’s all I can tell you. It’s my religion in Christianity, and with me, being a minister, that’s all that I can do. TTN: You’re a minister? Would you tell us more about that? NU: I minister throughout the churches and different organizations. I go to the hospital, to some nursing homes that need encouragement from the word of God. And that’s where my smile comes from. I’ve been a minister for about five years now. TTN: What do you like to do in your free time? NU: Well, I hang with my husband most of the time. We like reading… mostly the [Bible], but we also like to watch TV. TTN: What’s your favorite TV show? NU: I have so many, but my favorites are Two and Half Men and [Tyler Perry’s] House of Payne. Quentin Williams can be reached at quentin@temple.edu.